Congratulations! You are getting married!!! 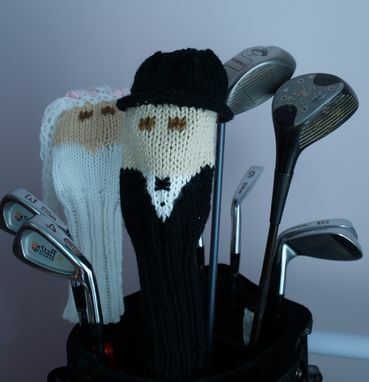 This set of Bride and Groom golf headcovers is perfect for your honeymoon golf getaway. 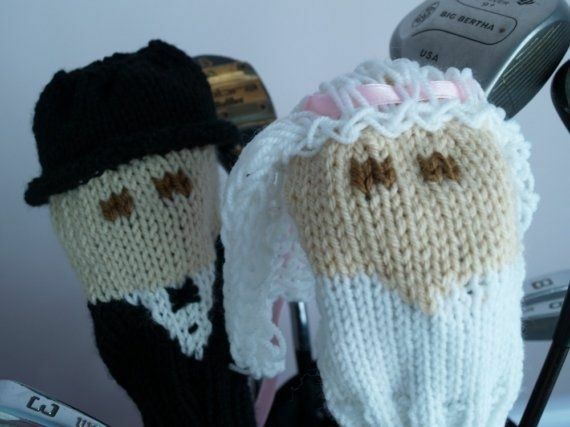 Sized to fit any club from your driver to your little putter, this set of bride and groom club covers will put the strength of your marriage behind every stroke. Made from Acrylic yarns so that it will not be ruined by a surprise shower, and it is machine washable if it gets dirty. 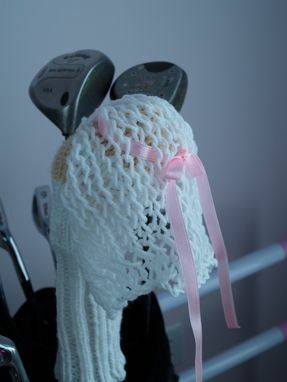 These golf club covers will be shipped directly to your door via USPS boxed and wrapped in tissue. 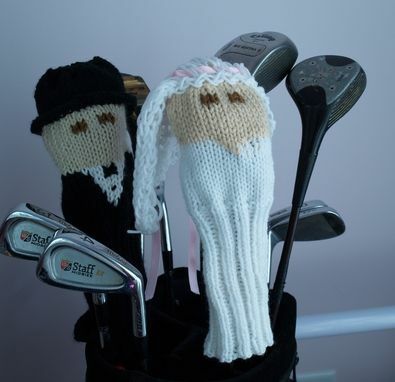 If you are interested in ordering a set of groomsmen and/or bridesmaids to match your golf club covers, please contact me to make arrangements.